PIER DINNER HITS THE JACKPOT! A big thank you to everyone who contributed in so many different ways to the success of the Pier fund-raising dinner at the Marcliffe last Wednesday. Special thanks to Stewart Spence and his family who have been incredibly generous. The evening generated a profit of just over £27,000, which provides a huge boost for our continuing efforts to secure the pier’s long term future. The work on the schoolhouse and hall is getting nearer to completion. 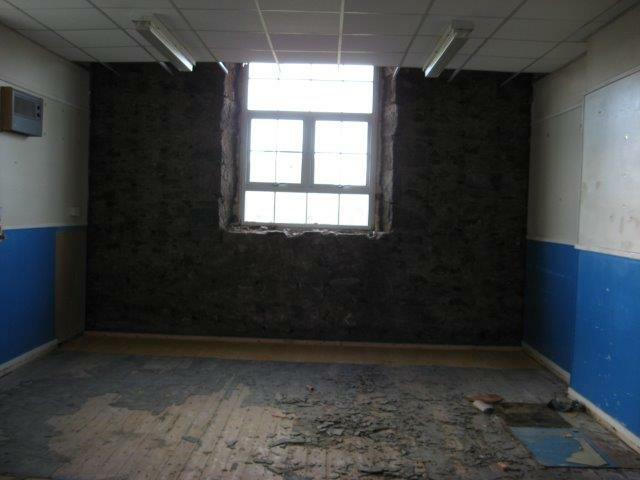 The Council’s contractors are doing us proud with the work they have carried out. 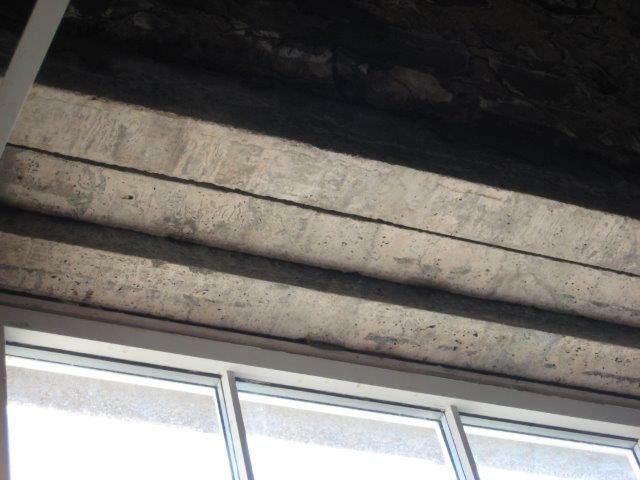 Because damp was found behind the walls at either end of the hall, the exisitng wall covering had to be removed and taken back to the original stone. 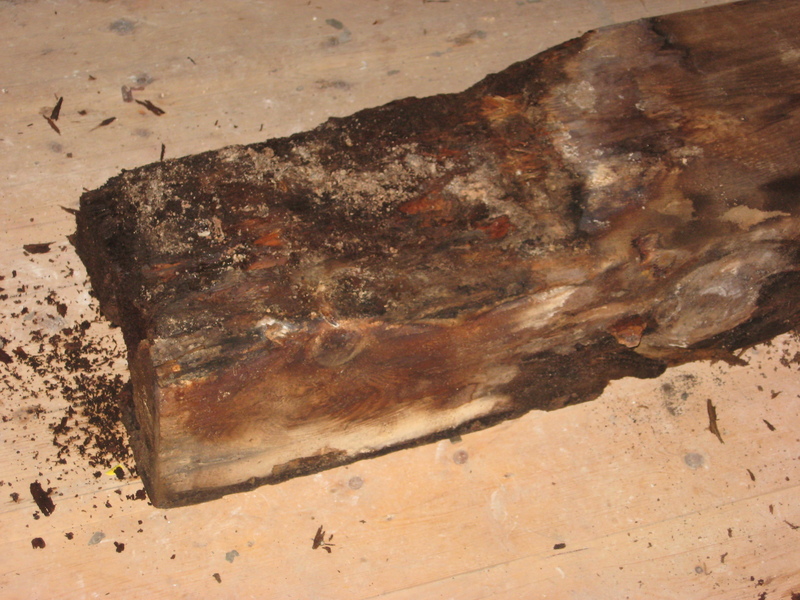 Some of the floorboards at either end also had to be taken up and replaced. The house itself is currently having all new wiring and fittings installed, after which decoration and floor covering will be done. 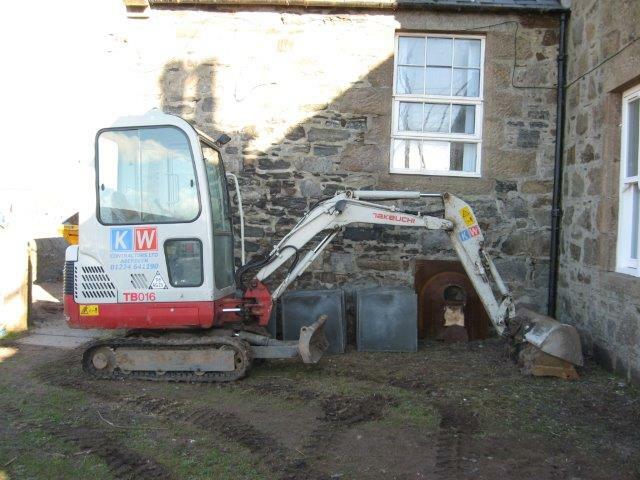 A path will be laid to the schoolhouse door – this will become the main door into the building. 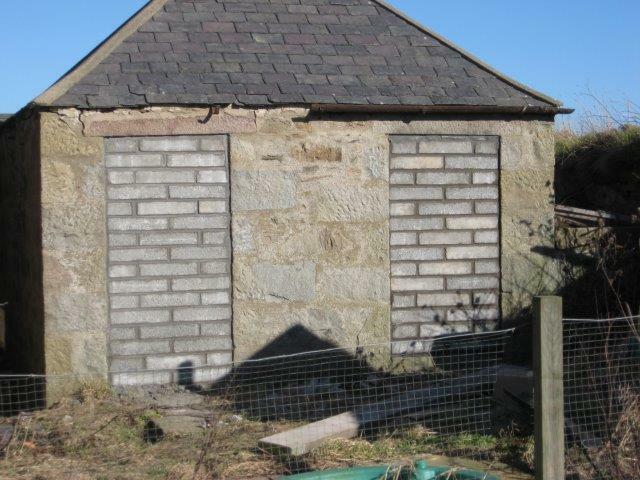 The three small sheds at the back of the building are being made into one bigger shed to store the marquee, barbeque etc. The opening party is getting nearer! 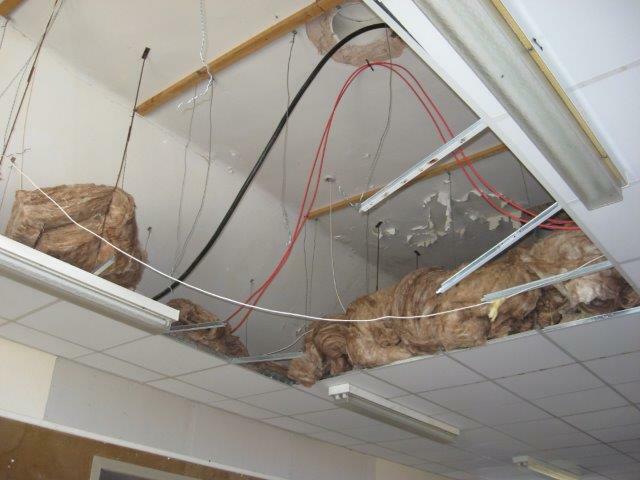 Some people will remember the old ceilng in the hall before the false ceiling was put in.